I've added the cargo table definition and the log definition. Had to also add them to the TravellerContext to get added to the database. That took a bit of digging since it has been a few months since I looked at this sadly. 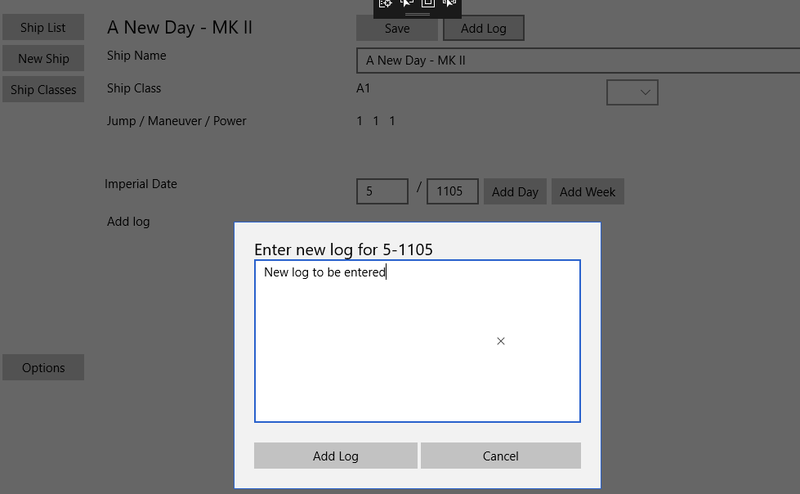 Anyway, I added an initial dialog box to get a new log entry in. It needs work, and I do believe I am going to abstract that a bit more to have a single class to handle the dialogs to centralize things a bit and minimize repeating code. I know, a class for a class, so I need to think a bit more on it. I'll quickly forget a computer language if I don't look at it for a year.